Millions of children across the country are participating in the Great Kindness Challenge, a grassroots campaign aimed at spreading happiness and strengthening community in schools. The campaign was started by Jill McManigal of Carlsbad, California, for her two children and their neighborhood friends. From there, the group created “Kids for Peace,” an international non-profit that launched the Great Kindness Challenge. As part of the challenge, children in schools and youth groups set out to accomplish as many acts of kindness possible, from a list of fifty acts, over the course of a week. Some challenges are simple such as smiling at 25 people and others, such as sitting with someone new at lunch, encourage students to step out of their comfort zones. In 2012, McManigal brought the challenge to three schools in her community. In 2013, the challenge grew and 263 schools participated. This year, over 12,000 schools and more than 10 million children across the country are participating. The materials needed to participate in the challenge are free for schools. The challenge is positively impacting schools and communities across the country. Teachers have noticed that the challenge helps students become more aware of their words and actions, creating a healthier learning environment. A London couple is giving back to a homeless man who helped them one cold night. 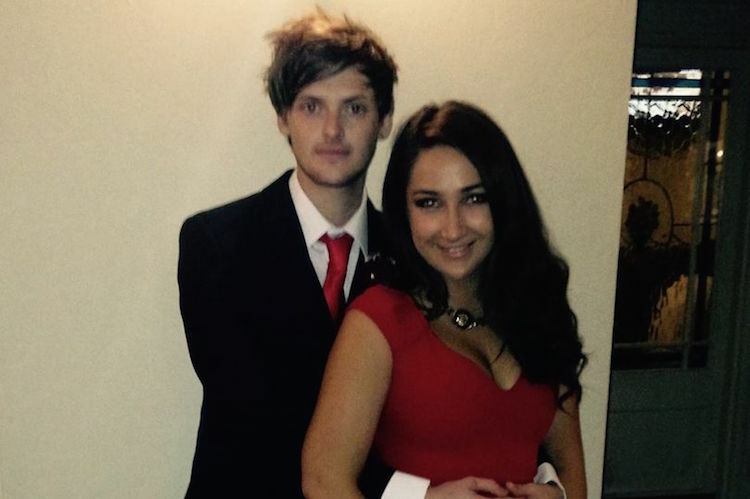 On January 4, Charlotte Ellis and her boyfriend, Taylor Walden, were returning home after a night out when they missed their train. The next train was scheduled to come four hours later and the couple found themselves stranded at the station in the cold. That was when Joey, a homeless man, offered to help. “You can borrow my coat and duvet if you want? It’s a long wait and it’s freezing tonight,” Joey said. Charlotte wanted to give back to Joey for his kindness and asked if he would like to stay the night at her and her mother’s place to shower and have a hot meal. Joey was hesitant at first but accepted the offer. “No one deserves to be out in these conditions. I’m not saying that you should trust everyone you meet on a street corner, but who exactly should you trust?” said Charlotte. Charlotte, Taylor, and Joey passed the time by talking and sharing stories about their lives. By the end of the night, they had bonded and become friends. Joey offered the coat to Taylor as a token of appreciation. “In my eyes this gift had such a powerful meaning behind it more than any ever gift you could ever receive,” said Charlotte. Joey was given a warm welcome by Charlotte’s family and friends who offered him a new haircut, wardrobe, and phone as well as a warm place to stay. Within five days of going home with the couple, Joey got a job. “All he needed was someone to have faith in him and to help be that stepping stone to make a difference to someone’s life. Joey is the most amazing, caring and incredible human that we have ever met, and I’m so blessed to of been a part of getting him off the streets,” said Charlotte. A Portland store aims to show that dads play an active role in parenting. 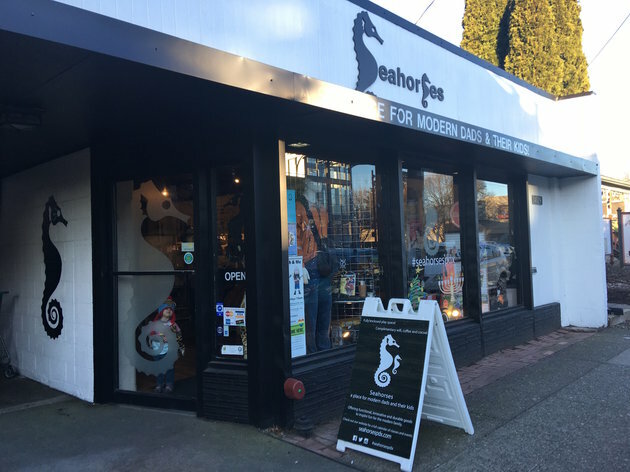 The store, Seahorses, was opened in 2015 by Don Hudson, a father of four. 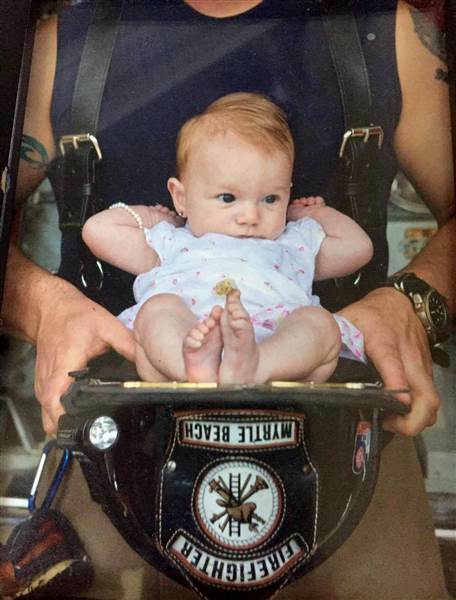 Hudson opened the store to challenge the stereotype that dads are babysitters rather than parents involved in raising their kids. In addition to the store, Seahorses is a space for families and the community. Seahorses hosts events such as dad workshops, parenting playdates, baby sign language classes, and preschool cooking classes. “The back half of the place, that’s where I’ve got my enclosed kids’ area with the countertops where dads ― or moms ― can sit around and use the Wi-Fi and have a cup of coffee, let the kids play for a minute, take a break from parenting for five minutes and breathe,” Hudson said. The store is making a difference in the community and has even been named one of the best places in Portland to shop for kids. Hudson hopes to bring Seahorses to communities across the country and is proud of its impact on the Portland community.